Surviving disaster is always a fun read in Fantasy and Science Fiction because the background is so alien to the readers. 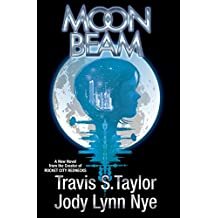 Travis S. Taylor and Jody Lynn Nye tell a tale of teens surviving a disaster on the Moon that reminds me of a classic Arthur C. Clark tale but adds social media. Bright Sparks are specially selected teens working with Dr. Bright in his laboratory at Armstrong City on the moon. Partially paid by a reality show, the teens face scientific problems. Barbara Winton is an Iowa farm girl new to the project. Her first project is setting up a remote base for project Moon Beam (hard from Baen) which involves smoothing a small lunar crater to make a huge telescope and also making new living quarters for the astronomers who will eventually live there. Barbara and three teammates successfully overcome the small obstacles and then real disaster strikes in the form of a huge solar flare. They have to protect themselves from the radiation while insuring there air is breathable. Armstrong City is also badly effected which limits rescue parties. Fun and great for teens looking role models who think their way through problems. 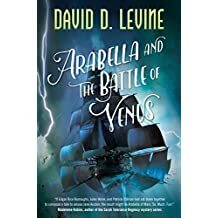 Arabella and the Battle of Venus (hard from Tor) occurs in a solar system filled with air. Napoleon has escaped from the dark side of the moon and has conquered a large portion of Venus. Arabella’s fiancé Captain Singh’s ship has been captured. His crew has been put to work in a steel-making facility creating steel for Napoleon’s secret weapon. So So Arabella hires a privateer to take her to Venus where, alas she and her companions end up in the same camp. Escaping takes priority when the secret is discovered. David D. Levine tells an exciting, fun tale in an interesting alternate solar system. I look forward to Arabella’s next adventure. Milo frequently remembers his past lives because he’s had almost ten thousand of them. He also has Suzie, his personal death and lover to enjoy in his times in the afterlife. 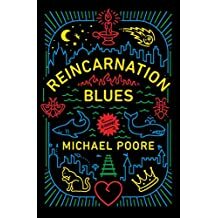 Unfortunately, according to Michael Poore, ten thousand lives are the limit and unless he manages perfection in his final five, Milo will disappear into Reincarnation Blues (hard from Del Rey) at the same time that Suzie is disappearing because she no longer wants to be Death. It doesn’t help that in one of Milo’s lives he killed the Buddha. The tale is an exemplar of man’s inhumanity, love, and what makes people ideal. This should be recommended for awards. 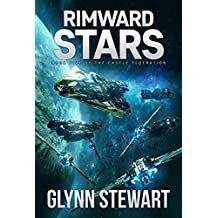 Glynn Stewart has an exciting fifth book in his tale of war between the Castle Federation and the much larger Terran Commonwealth which wants to absorb all of human space. Captain Kyle Roberts, the Stellar Fox has been given three older carrier ships to deal with pirates in the Rimward Stars (paper from Faolan's Pen Publishing Inc.). The Commonwealth is helping the pirates in an effort to force the Castle Federation to divert ships to their trading partners. Even though horrified by the pirate rapine and murder on civilians, the captain of the Commonwealth ships follows his orders. Alas the pirates have their own industrial base in a conquered planet. Glynn Stewart has a deft hand in creating exciting space battles that leave the reader glued to the page. He is one of my must-buy authors. R. S. Belcher’s third book in his tale of magic and monsters in the old west could easily be a conclusion even as it widens its world. 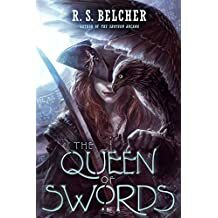 In 1721 The Queen of Swords (hard fromTor) escapes from prison where she was to hang for piracy and follows a magic box to a city of Bones in the heart of Africa. In 1870 her great....great grand child Maude returns to Charleston following her daughter Constance who had been taken by her Father. All she needs is a good lawyer to get both her inheritance and her daughter back. But the immortal Typhon and his evil sons, along with the daughters of Lilith both want Constance. The daughters kidnap Constance and want her sacrificed in the same city of bones. I found the mythology a bit confusing and contradictory here, but the tale is fun with super female warriors and battling monsters, and magic ships. Larry Correia continues his fun series of monster fighting. This time its a Monster Hunter Siege (hard from Baen) of a Russian Island filled with monsters to capture a gate to another universe. Seven monster hunters had been trapped in that world in the previous tale. Owen Zastava Pitt and hundreds of other hunters are determined to use that gate to rescue their friends, even though only Owen will actually be able to enter. Lots of fun. It also sets up the next tale of taking down a real god. Matrona lives in an ideal Russian village where war and winter never come. But there’s an eerie reason that she discovers when she discovers the dolls in Slava’s house. Slava is the only person who can leave the village and the dolls, one for each of the villagers, have magical properties. The dolls are nested Russian Dolls. 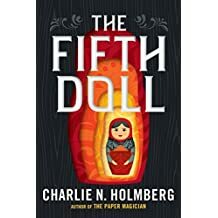 When Slava forces Matrona to open her own dolls one by one, she discovers the truth of the village after opening The Fifth Doll (paper from 47North). Charlie N. Holmberg sets his real world shortly before the Russian Revolution and the tale is difficult to put down. Laura Bickle imagines a coal mining town with a hidden dragon. Di Hoffman left college when her father was injured in a mining accident. Her high school beau is working at the mine and and gets her a secretarial job there. Playing her violin in the wilderness brings Afakos, a black dragon who has lived centuries on the mountain to her. The problem is that the mining company is asking the EPA for permission to blow the top of the mountain off for easier access to the coal, and that is not in The Dragon's Playlist (ebook form Pronoun). 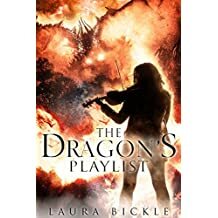 Di is an observer caught between the protestors who want to protect the mountain, the mining company willing to falsify reports, her father’s health problems, and of course the dragon. The background is well defined and the tale is interesting. Scarlett Bernard is a rare null who can negate the magic of werewolves and vampires, turning them human when in her range. The vampire head of Los Angeles asked her to watch a special show put on by Arthur and Lucy Holmwood, who once inspired characters from the original Dracula, for fear that the show will reveal the reality of vampires. Her sister-in-law thinks this is a belated bachelorette party. What Scarlett finds is a number of missing vampires who may have been murdered, and Jameson, a null who had once trained her. It’s a Blood Gamble (paper from 47north) because things are even darker than she supposes. 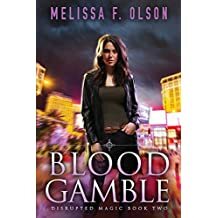 Melissa F. Olson has an original look at vampires that kept me interested. Dru Jasper can’t get A Kiss Before Doomsday (trade from Pyr) because her boyfriend Grayson, who had become one of the four horsemen in the last tale, has been captured by a nutty sorcerer who can create material that turns dead bones into undead beings and who wants to flood the world. She, her friend Rane, who can turn her body into metal, and her shop assistant Opal have to find the right clothes to get into a masquerade party the evil sorcerer is throwing in an abandoned, fallout shelter. 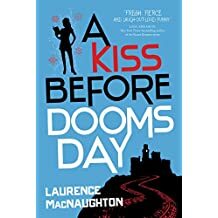 Laurence Macnaughton has a gift for mixing rom-com elements with a tale of stopping an Apocalypse. Silly fun. 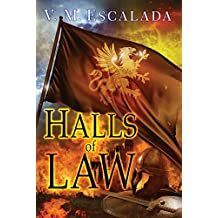 V. M. Escalada tells of a Poity under attack by misogynist invaders from Halia across the sea whose mages can change attitudes with their red stones. They especially hate Those with the talent to learn information via touch from people and objects and who provide justice for the Halls of Law (hard from DAW). Kerida Nast comes from a military family and had served two years as an NCO when her talent and she was sent to be trained. Kerida escapes her hall’s destruction and finds her way to caves filled with refugees who had been persecuted by her Poity because they have other talents. There’s also a prophesy about her talking to the gryphon living in the caves. In the end, rescuing the last member of the royality, forces her to face her abilities despite torture. Fun beginning. I can’t wait till the gryphon grows enough so the Kerida can ride him while flying. Christina Henry looks at the horror that is Never Never Land. Jaime was the first Lost Boy (paper from Berkley Publishing Group) and over the centuries he’s buried more than a few. Peter Pan keeps bringing others to replace them and the fun of fighting pirates and diving with mermaids continues. Then Peter brings Charlie who is too young and quite at risk that that brings out the father in Jamie. As other lost boys are brought from Earth Peter starts resenting Jamie and Jamie slowly starts growing up. 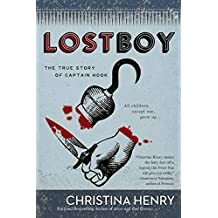 This is “The True Story of Captain Hook” at least for this dark version of the famous tale and fascinating. 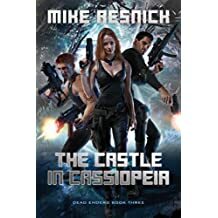 Mike Resnick continues his tale of an impossible mission force, the Dead Enders, in the fortieth century of the galactic era. In the first tale, A Fortress in Orion (paper) they replaced an evil dictator with his clone. Alas the clone has gone evil and has to be assassinated. He is located at The Castle in Cassiopeia (trade from Pyr) on a planet he controls in a star system he controls. As usual the obstacles are easily surmounted by Pretorius and his crack team. Light fun. Baen has reprinted one of my favorite books from the sixties, Gordon R. Dickson’s Wolfling (trade) about a human expedition discovering Earth is really part of a Galactic Empire. 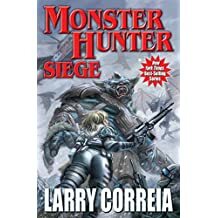 They also reprinted in paper the last Monster Hunter Memoirs: Crunge by Larry Correia and John Ringo. Two collections include Straight Outta Tombstone (trade and edited by David Boop) about monsters in the old west, and older tales of Galactic Games (paper and edited by Bryan Thomas Schmidt). The Science Fiction Society will have its next meeting on August 4th 2017. Kellan Szpara, whose short fiction appears in Lightspeed, Shimmer, and Glittership sill speak. The September is on meeting on September 8th 2017. Both meetings start at 8 p.m. at International House on the University of Pennsylvania Campus. . As usual guests are welcome. Dr. Henry Lazarus is a local Dentist and the author of A Cycle of Gods (Wolfsinger Publications) and Unnaturally Female (Smashwords).Check out his unified field theory at henrylazarus.com/utf.html that suggests a simpler way to achieve fusion generation.